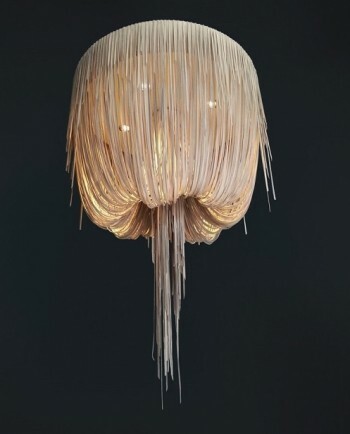 Stunning handmade leather chandeliers from Johannesburg, South Africa. Fittings are supplied however globes are not. Small - 65cm (dia) x 1.1m (h) approx. Medium - 1m (dia) x 1.7m (h) approx. Large - 1.2m (dia) x 2m (h) approx. Please note prices are based on the standard stone colour.